In the last article of our series, we covered the “class preference” feature of Magento’s object manager. This week we’ll cover a similar, but more selective, class replacement system built into Magento 2. While this article should be accesible as a stand-alone tutorial for programmers familiar with modern object oriented concepts, if you’re having trouble try starting at the beginning. Like our other articles, we’ve prepared a module that sets up the basic commands and classes we’re going to use. You can download Ecommage_TutorialObjectManagerArguments.zip. If you need help installing a Magento module manually, the first article in this series contains detailed instructions for doing so. You’ll know you have the module installed correctly when you get the following output when running the ecommage:object-manager-arguments. Assuming you can run the ecommage:object-manager-arguments, we’re ready to start. We’re going to need a little more exposition before we can get to the meat of this article. 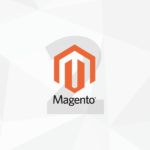 The exposition should also serve as a good review of some basic Magento 2 concepts. All this is simple enough, although probably a little confusing given our complete lack of context. Let’s take a look at the definition of showPropertiesForObject. This method is pretty straight forward. We fetch an instance of the object manager and use it to instantiate an object from the Ecommage\TutorialObjectManagerArguments\Model\Example class. This reportOnVariable method produces the output we saw above. For each variable passed, the method will output the variable’s type, and then class and/or value (depending on the type). The implementation of reportOnVariable is beyond the scope of this article, but feel free to poke around if you’re feeling exploratory. and the remaining parameters are either plain old PHP scalers, or the final argument, which is a PHP array. Regular arguments may coexist with PHP dependency injection — if you’re wondering why this would be of any use, hold on for a few more paragraphs. With that lengthy exposition out of the way we’re almost ready to start talking about today’s feature: Argument Replacement. Argument replacement is another feature that, while labeled as part of “dependency injection”, isreally (from another point of view), part of the underlying object manager system. With the above in place Magento, behind the scenes, will use the object manager to create theEcommage\TutorialObjectManagerArguments\Model\Example object. We’re using the object manager in these tutorials for simplicity — every feature we talk about is also available to objects created via dependency injection. ENOUGH ALREADY! Let’s get to it. Argument replacement is a powerful feature that gives us full control, via configuration, of what the object Manager will inject in the __construct method. and then re-run our ecommage:object-manager-arguments command. You’ll recall this command shows us the values of our Example object’s properties. You should see the value of the $scaler property has changed from foo to bar. This is what argument replacement does — it allows end-user-programmers to change the value of any dependency injected argument. Here we’ve introduced a new-to-us second-level configuration node named <type/>. The node refers to the class whose arguments we’re trying to change, in our case that’sEcommage\TutorialObjectManagerArguments\Model\Example. The type name refers not to native PHP types, but instead the idea that all the classes you define in your system/application form their own type system. Back in Magento 1 these class aliases also formed a type system. While Magento 2 eschews class aliases, the object manager effectively turns each class name (or, with our new nomenclature, type name) into an alias. The outer <arguments/> node lets Magento know we’re dealing with arguments — there’s other <type/> sub-nodes we’ll cover in future articles. Each single <argument/> node (no S) lets us change the inject value of a single __construct argument. the <argument/> attribute name is set to scaler1. The xsi:type node lets us tell Magento what sort of value we want to replace the existing value with. With those attributes set — Magento will use the inner text value of<argument/> as the new value to inject, (in our case, that’s bar). The first time I saw a non-object parameter in a Magento 2 class’s __construct method I didn’t understand why it was there. It seemed like the object manager and type hint dependency injection both would preclude this parameter from being anything other than its default value. Once I discovered the argument replacement feature though, they made a lot more sense. Let’s dive a little deeper into argument replacement. There’s additional nuances you’ll need to get the most from this feature. Speaking of objects, what do you think would happen if we tried replacing one of the object parameters? Let’s give it a try! Add the following node to your di.xml configuration. This is very similar to our previous configuration. The only difference is we’ve targeted the parameter namedobject1. Let’s clear our cache and try running our command with the above in place. Whoops! An error. While the error is somewhat cryptic, this is correct system behavior. We just tried to replace the$object1 parameter with a string, but remember that all dependency injected arguments have type hints. We’ve changed two things in the above configuration. First, the xsi:type argument is now set to object. This lets the object manager know it should treat the node’s text content as a class instead of a raw string. This leads us nicely into the other thing we’ve changed, which is to set the <argument/> node’s contents toEcommage\TutorialObjectManagerArguments\Model\SomethingCompletelyDifferent. This is the object we want to replace the original with. Clear your cache, run your command, and you should see the following. That is, Magento is now injecting aEcommage\TutorialObjectManagerArguments\Model\SomethingCompletelyDifferent class for the first argument. or even other, nested arrays! Another interesting feature of arrays is how Magento handles multiple modules trying to “replace” the same array. For objects, and strings, and other scalar xsi:types like number or boolean, Magento operates on a “last module in wins” principle. With arrays, however, Magento will merge the <items/>. This means it’s possible to have multiple modules contributing items to an array. In fact, for the past few articles, we’ve been relying on this functionality! If you take a look at this module’s di.xml file, you’ll see the following nodes. This is the same sort of argument replacement we’ve been doing in this article. That is, we’re replacing (or, since it’s an array, merging) the commands parameter in the core Magento\Framework\Console\CommandList class. We’re merging in an Ecommage\TutorialObjectManagerArguments\Command\RunCommand object. However, it’s this module’s di.xml file that makes it available to the command line framework. This is just one example of how the core Magento framework treats dependency injection and the object manager as first class citizens. We see that Magento has, for reasons that are unclear and likely an unintended side effect, replaced the argument with an array instead of an object, and that the array contains the name of the object. While the more clever and resourceful among you might start thinking of ways to take advantage of this behavior, I’d advise against it. Even if it did work, replacing an argument PHP expects to use as a string, number, etc, with an object would likely have unforeseen consequences. Most of these are self explanatory. The only non-scaler type we didn’t discuss was init_parameter which, at this point, is just a de-facto alias for const. From the point of view of a Magento 1 developer, argument replacement offers a more selective version of the old class rewrite functionality. In our example above — if we needed to change the behavior ofEcommage\TutorialObjectManagerArguments\Model\ExampleArgument1 — (or something liketutorialobjectmanager/exampleargument1 in Magento 1 class alias speak) the only way to do it was with a global rewrite that changed the behavior of the class in the entire system. Not taking adequate care to maintain the old functionality was created extension conflicts and system instability in Magento 1. While it’s not fool proof, Magento 2’s argument replacement feature allows us to effectively change the behavior ofEcommage\TutorialObjectManagerArguments\Model\ExampleArgument1, but only when this class is used in the Ecommage\TutorialObjectManagerArguments\Model\Example class. This means the rest of the system is still using the original class, and there’s zero chance our argument replacement will effect those systems. Of course, you are still changing the behavior ofEcommage\TutorialObjectManagerArguments\Model\Example system-wide, so it’s not fool proof, but speaking for myself it’s a welcome addition to Magento’s functionality. ALL That said, there are features beyond argument replacement that go even further in stabilizing Magento customization. Out next stop on the Magento object manager train will be the virtualType system.